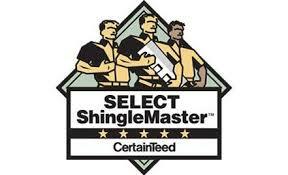 You are most likely looking to do a one for one replacement of your windows. You might already know that you have decisions to make about how maintenance free and how energy efficient you want your windows to be. But don't stop there. Rethink your home and it's look and feel. It is totally possible to change the style of your windows to update the look. You can even alter the size and shape of the windows including moving windows. 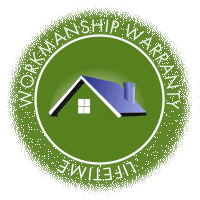 Now when you are doing a window replacement is the time to consider these options. 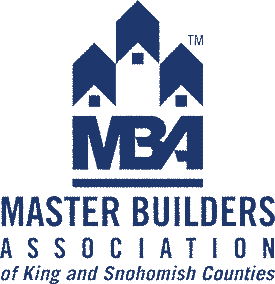 Emerald State are not just window installers, we are also general contractors. We can show you options you have never thought about that will open your eyes. Below are some of the options you have for new windows. We can show you your options in the convenience of your home. Just give us a call. A double hung window is a window where both sashes (a sash is the part of the window that holds the glass in place) move up and down independently. Double hung windows are nice because they can be adjusted so there can be airflow from the top of the window and the bottom, both. 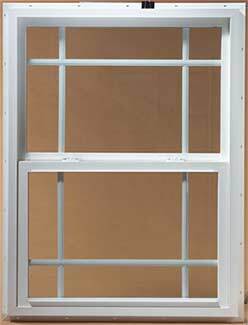 Double hung windows are the most popular style of window in the United States. A single hung window is a window where only the bottom sash (a sash is the part of the window that holds the glass in place) moves up and down. Single hung windows look almost identical to double hung windows. They are nice because they have less moving parts, are easier to build, and seal better. Casement windows are great when windows are hard to reach. Casement windows have sashes that are hinged. A crank mechanism swings the window sash on its hinges to the outside of the house. With casement windows the bug screen has to be on the inside of the window requiring the screen to be removed for cleaning the inside. Sliding windows are single/double hung windows placed on their side! Each sash slides on a rail left and right. Either one sash is moveable or both are. Sliding windows are particularly attractive for wider/larger windows for two reasons. First the heavier sash is more easily slid than lifted. Second, the lack of a horizontal frame piece can be more attractive on a large window. Bay and bow windows are windows that arch out from the wall providing a wider view of the outdoors than a flat window. They also add an aesthetic architectural look to a room from the inside and a house from the outside. Bay windows consist of 3 window panels; a larger center panel and two smaller side panels. The side windows may or may not open. Bow windows consist of (typically) three to six window panels of equal size. The equal size and larger number of panels provides for a smoother transition and more of a bow shape. Great for rooms that are partially below surface level rooms, awning windows are typically placed higher on the wall. The window opens by lifting the lower edge upward in a swinging arch. This makes it much easier to reach than a slider approach. This type of window is also great for rooms where privacy is desired but the room needs light. Tilt turn windows are the ultimate in flexibility and function. 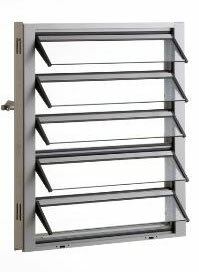 A common window type in upscale European homes and bistros, the tilt turn window provides many features. 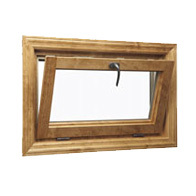 The window opens like a traditional casement window except the window opens to the inward. It also opens by tilting the window about its center axis. In this manner the window can be open a small amount using the turn and a large amount using the tilt. Because the unit tilts it is also very easy to clean the outside of the windows from inside the home. A great feature indeed. The tilt hopper window is an upside down awning window. It opens from the top and hinges down. The tilt hopper window is typically used above a door. 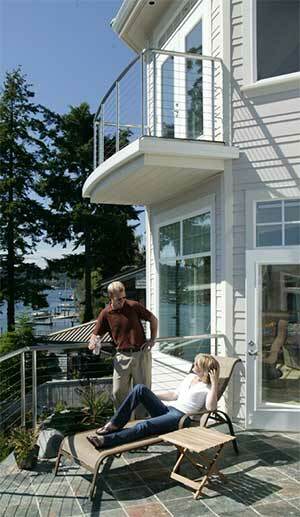 A jalousie window is a louvered window typically used on porches and sun rooms. It has a casual feel to it but provides plenty of air flow. It needs less clearance than a casement window but still provides maximum air flow. Great for situations where air flow is important.